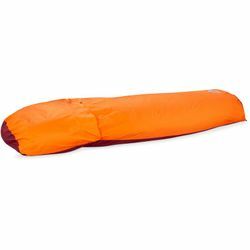 MSR Pro Bivy. New for 2019. Designed for professional alpinists and serious adventurers, the Pro Bivy delivers quick-pitch protection in cramped spaces too small for a tent. Lightweight to keep up with fast & light missions, whether you’re traversing the rugged Pickets Range or fastpacking the Wonderland Trail, the Pro Bivy features weatherproof, breathable fabric that reduces condensation, and Xtreme Shield™ waterproof coating to help keep you dry and comfortable on your alpine challenge.